Last year some of the Best &apos;Investment Desirability&apos; stocks in their sectors were AMC, BAP, CSL, GMG, IAG, SEK, TPM and WBC, but which stocks will be the best for &apos;Investment Desirability&apos; in 2017? 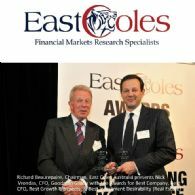 Fund managers are able to vote now to determine this year&apos;s winners. Voting will be closing down asap. 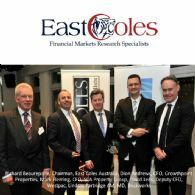 Boardroom.media and East Coles recently entered a partnership affording Boardroom.media access to East Coles data. 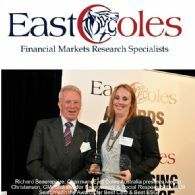 As a result of this partnership Boardroom.media will act as a media partner for the annual East Coles Awards Night. 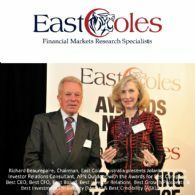 The 2017 East Coles / Transplant Australia Corporate Performance Awards Night will be held at the Ivy Ballroom on Thursday, 21 September. The incredibly talented electric violin artist Jane Cho will be performing on the night along with other entertainment. 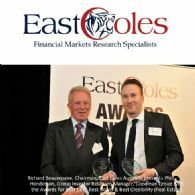 The 2017 East Coles / Transplant Australia Corporate Performance Awards Night will be held at the Ivy Ballroom on Thursday, 21 September. 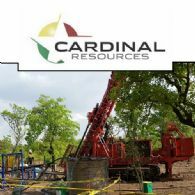 Cardinal Resources Ltd (ASX:CDV) (OTCMKTS:CRDNF) is pleased to announce that Commonwealth Bank of Australia (ASX:CBA) and its related bodies, which includes Colonial First State, has become a substantial shareholder of Cardinal through on-market purchases. 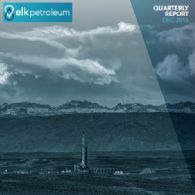 Elk Petroleum Limited (ASX:ELK) (OTCMKTS:EKPTF) provides the opportunity to watch a video broadcast of Mr. Brad Lingo, Managing Director and CEO discussing with Mr. Tom Piotrowski the latest developments regarding Elk&apos;s purchase of the Madden Gas Field and the Lost Cabin Gas Plant.